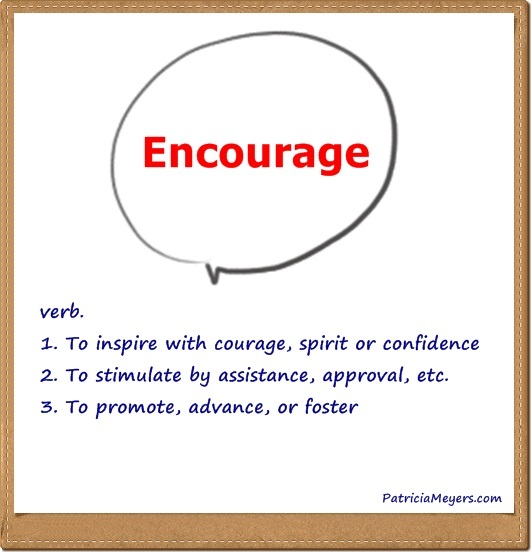 Encouragement is a noun, which means it is a “thing.” An actual “thing.” It may not be physical like a table or a ping pong ball or a cupcake; but it is felt. Isn’t it? It is not an idea. Or a philosophy. Or something ethereal. It is a noun. A thing. Remember the last time you were the benefactor of encouragement? Ahhhhhh…. nice, wasn’t it? It felt like a thing, didn’t it? What about the last time you dished out a batch of encouragement? It feels nice, too. It is one of the things that is great for both parties. It is something we do. An action verb. We should do this action often. On purpose. Repeatedly! It’s so easy to say something kind and uplifting. Really, it’s not hard. And usually only takes a moment or two. But is isn’t performed as often as one would think.